Find below the list of top schools in Chinnampalayam - Coimbatore with phone number, address, 360° School tours, 2018-19 Admission forms & Fees, photos, facilities & more. Reeds, a microcosm of the modern age and trend of education believes that education comes only through consideration of each child-studying his difficulties, his capacities, taking care of him with affection, with intelligence, thereby creating a new culture in this ever changing global village. 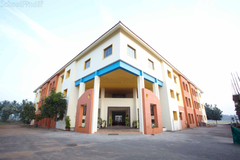 Vedanta Academy is a new school set to educationally enrich the locale of Coimbatore so as to meet the needs of local, nationally and globally mobile families. Our school is non-sectarian and co-educational and follows the syllabus prescribed by the Central Board of Secondary Education. Students will be taken out on a regular basis to visit places of scientific, recreational, industrial, historical and cultural importance. Students are involved in all organizational activities of the school to acquire managerial capabilities. Are you worried about your child's admission to a school? Worried about interviews in the best schools in Chinnampalayam - Coimbatore? 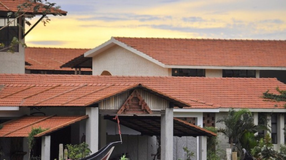 All it takes is a little bit of planning and going for a lot of options, which can be found on Sqoolz's list of best schools in Chinnampalayam - Coimbatore. 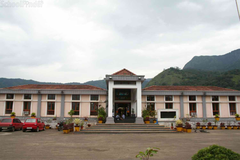 The top schools in Chinnampalayam - Coimbatore are registered with us. Find all their details - location, address, fee structure, facilities and more! Also take our virtual tour, a feature that gives almost a first-hand experience to parents.